To celebrate the 'launch' of my new website featuring the wonderful Archie Shepp (not much content yet... perhaps I could celebrate having the idea of creating an Archie Shepp site?) here are a few interesting things to read about him. He has some interesting opinions on matters such as why Europeans seem to 'get' his music, and why young people are no longer listening to jazz. Best of all, he says exactly what he wants, which is almost unheard of these days but a quality that I have the greatest admiration for. 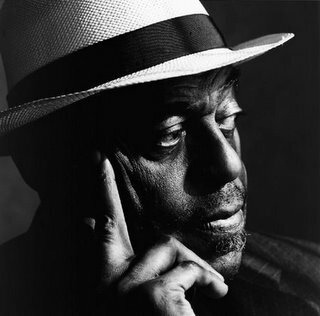 A dialogue with Archie Shepp - an interview from his official site. Lengthy, but well worth a read. Another interview - from allaboutjazz.com, covers some of the same ground as above, but a bit shorter for the terminally busy. Archie's Wikipedia entry - the condensed biography/discography for the even busier! Another interesting interview - though for the wrong reasons. This has been translated from the original French by google. "They were thus autodidacts". "I also smell myself at ease". Righto. A review of a 2003 show - seems like he's still got it. Two reviews of the seminal 'Attica Blues' - here and here. A comprehensive discography, from the official site. And finally, did you know that Archie played with Frank Zappa? Nor did I, but it's on the internet, so it must be true!